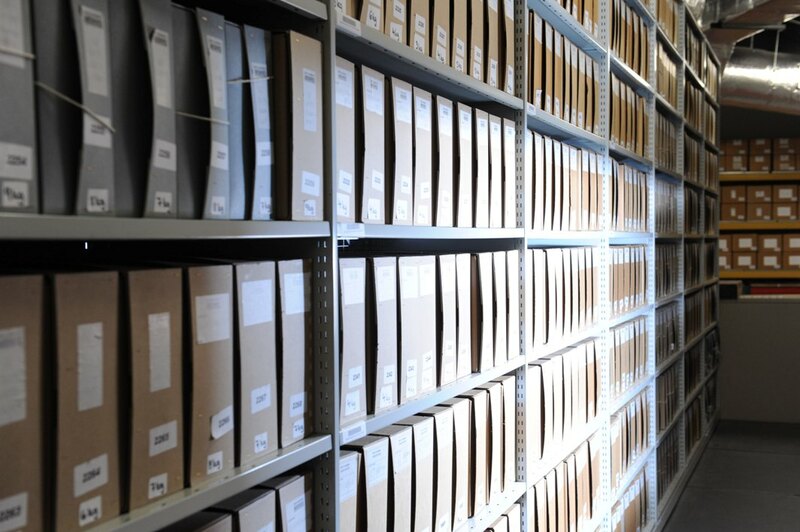 Archives are original records produced by individuals, businesses or organisations which have been specially selected to be kept permanently because they provide evidence and information about past events, activities and people. The places where archives are kept have also become known as Archives. These can be either whole buildings like the National Records of Scotland in Edinburgh, or part of a building like North Lanarkshire Archives which is based in North Lanarkshire Heritage Centre, Motherwell. What sort of records do you have? You can view most of our collection descriptions on the Scottish Archive Network catalogue. Our archive code is GB1778 http://www.scan.org.uk/catalogue/. Access to the archives is free of charge. Charges are only made for copying items. Can anyone use the archives? Yes the archives are open to all. We suggest that children are accompanied and supervised by an adult. An appointment is not essential. However, if you make an appointment we can let you know whether we hold the material in which you are interested, carry out preliminary searches for you and have records ready for you when you arrive. Will there be someone to help me find what I’m looking for? Yes our staff will be happy to show you the catalogues and other finding aids or carry out searches for you. If you need more detailed help, for example to decide which archive collections would best answer your enquiry, it may be better to contact the Archivist in advance of your visit. Can I trace my family tree using the archives? If you are looking for births, marriages and deaths, this information is held by the General Registrar for Scotland. You can search their records online through the ScotlandsPeople website. Also local studies libraries can assist and have many early records (pre 1855) freely available on microfilm. Once you have the basics sorted such as birth, marriage and death dates there is a wealth of further information available in the archive collections, such as poor law, cemetery and school records. If you are unable to visit us in person we will carry out simple checks of our sources for up to half an hour on your behalf. For research taking longer we charge £14 per hour (or part of) up to a maximum period of two hours. We will also advise on other sources you may wish to look at yourself. For more extensive searches you will either need to visit the archives yourself, or employ a freelance researcher to do the work on your behalf. A list of records agents can be found on the Association of Scottish Genealogists and Records Agents website. Can I borrow any of the archives? No, because archives are unique and irreplaceable we do not allow them to leave the Archives. Provided they are not too fragile or subject to copyright or other restrictions we may be able to copy individual items for you. Why are there so many rules in the Archives? As the records held by the Archives are original, unique and irreplaceable the search room is subject to a number of rules. These rules are there to protect the archives and make sure that the records you use today will still be available for future generations. Why can’t I use a pen in the Archives? If ink leaks from a pen onto an archive document it will cause permanent damage. This is why we ask that you always use pencil when looking at archives. Can I have photocopies made? A reprographics service is available, supplying photographed, scanned, and photocopied documents. To protect the original, all copying must be carried out by trained staff. In some cases it may not be possible to copy a document if this would cause substantial damage or for copyright reasons. Can I use my digital camera? Readers may make copies of records within the Archives using their own cameras, providing they follow the Archive Handling Guidelines and do not use flash photography, and that copies are made within the restrictions set out in UK Copyright Law. You will be required to complete a copyright form. What is the difference between Archives and Local Studies? 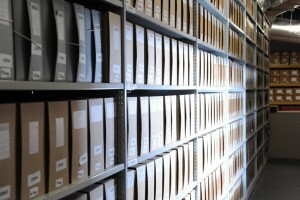 The Archives hold unpublished and unique material, while the Local Studies section contains mainly published material, such as books, newspapers, government and community information. The Archives and Local Studies staff work closely together to provide users with access to as much material as possible. Can I view your archive documents online? No, but some examples from our collections can be seen on the website and in our leaflet. Also SCRAN features some of our material. Can I give you the records of my family/club/business? We welcome the opportunity to acquire further historical records relating to the North Lanarkshire area. More detailed information can be found in North Lanarkshire Archives – Donating records. No, this is a common myth; in fact archives are looked after by professionals in clean storage rooms that ensure a secure and safe environment for their continued survival. The temperature and humidity levels of these stores are monitored carefully to make sure the environmental conditions are the best possible for the archives.